When should you have a mildew and mold inspection complete in your property and what does the mold inspector actually do? A mildew and mold inspection should be done if you think you have any mold or mildew growth in home or business. The mold inspection should be complete before any mold and air testing and prior to any mold removal bid proposals. Often, home owners believe they’ve black mold or fungus within their air ducts all around the air vents and we find out it is simply lint from your intake that spread threw the ducts. Prior to a spending any money, have a consultation from a trained mold expert. You will discover many companies including ourselves provide a Free consultation & inspection. The trained mold inspector will first walk the home and property for a visual mold inspection. They’re looking for visible signs and symptoms of mold and odors. The expert should take pictures they’re doing this to incorporate in mold reports. The expert will then take relative humidity readings in the property. Mold germinates and grows with 60% RH (relative humidity) and above. You would like to maintain your humidity levels always under 60%. Ideal conditions are within 30% and 50%. Next, the mold inspector will search for moisture and dampness in walls, around doors and windows, as well as around all plumbing areas. They’re looking for high moisture readings that conclude a water leak or not. Most NJ, NY, PA or CT homes have an average of 6% to 14% moisture content in their dry wall. The goal of mold inspector should be to determine if you might have a mold or mildew situation and what’s the cause for the mold growth. A thorough visual inspection of the property (inside & out). Documentation and report of our findings. Thermal imaging (Infrared Camera Inspection) of possible problem areas. Moisture mapping in areas where water intrusion can be a the issue. If the inspector feels you’ve got a mold situation, then they will suggest mold testing. Mold testing will confirm the inspector’s examination summary as well as recommendations. 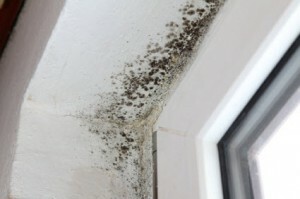 See Mold Testing for additional info on indoor air testing. To schedule a Mold Inspection, Call 888.651.2532 or click here.